While Sony and Microsoft have been cramming as much graphical and memory power as scientifically possible into their new consoles Nintendo decided that they didn’t care that much about making anything look or act very realistic. Instead they have spent their time trying to make an anti-console to sell to everyone else in the world. I finally bought one myself! 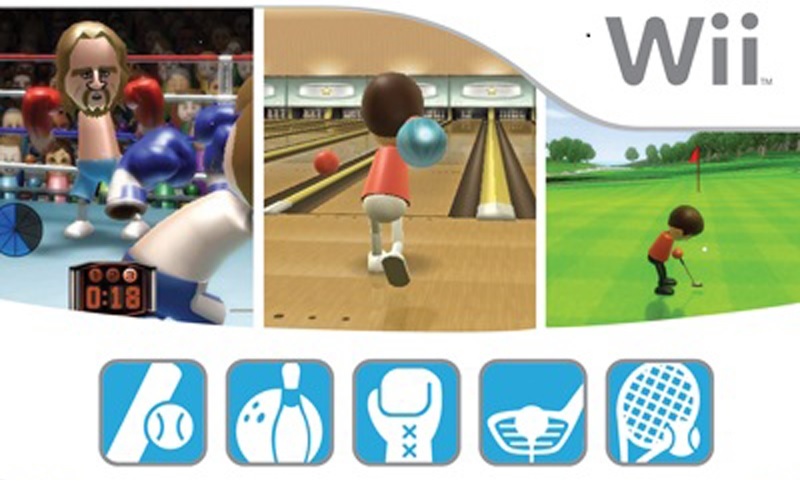 Wii Sports is the game that everyone who bought the Wii got as well. It’s been a while since a console has shipped with an included game if you don’t count all of the ‘bundle’ packages out there, so I wasn’t expecting much from Wii Sports. To my surprise Wii Sports has become the game of my house, fully displacing my carefully placed couches and coffee-table to make way for the frenzied pendulums that were once the arms of my friends and family. In fact, helmets are now required to enter my front room after the incident, which left more than a little blood on one of the Wii-motes (Wii remote). Favorites in the danger zone at my house are tennis, bowling and golf. Although I’m already sick of the golf course we’ve had a great time with this very simple and forgiving game. Golf does, however, show the few flaws with the console more than the other games, probably because of the hesitancy of some people to really swing the Wii-mote in the house. The problem is the lack of precision in motion sensitive controls, but with a little practice it’s not a huge problem. What amazed me was the amount of sweat I worked up playing the tennis game. If you’re a spaz like me you’ll find yourself running around the room and swinging the Wii-mote like a samurai swinging his sword on a boat of pirates (because samurais hate pirates, right?). I’m pretty sure my downstairs neighbors will begin shooting through their ceiling soon to at least slow my hoping around to a soggy crawl but hey, I’m having fun, and that’s the important thing, right? 4 out of 5 lego people.